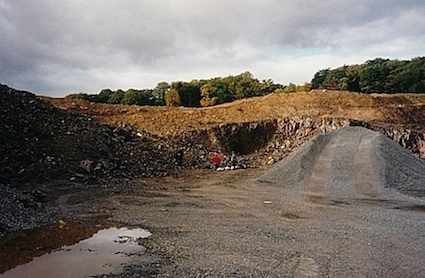 Ethiebeaton Quarry is only about 1 kilometer to the south-west of Ardownie Quarry, the two quarries are not linked and each is operated by a different company. The agates from the main collecting area in Ethiebeaton are generally smaller than the Ardownie examples at an average of around 30 â€“ 40mm in diameter and their beauty and patterns are subtle. 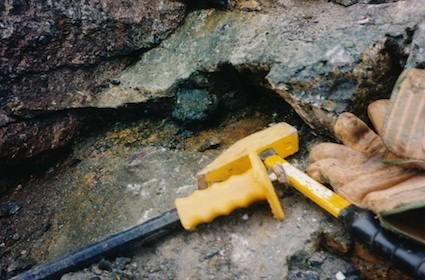 In this area nodules could be abundant but the vast majority of them were rather bland dark chalcedonic material. In fact after one trip where I had managed to extract maybe 50-60 nodules when I later cut them the return was poor at about 1 in 10 nodules showing some good patterning. However the few that you were able to get were worth all the effort. They were usually uncracked and laminated examples in pastel shades with beautiful blue/grey fine crisp fortification patterns. Other colours included deep red-wine, subtle pinks and browns contrasting with white bands. 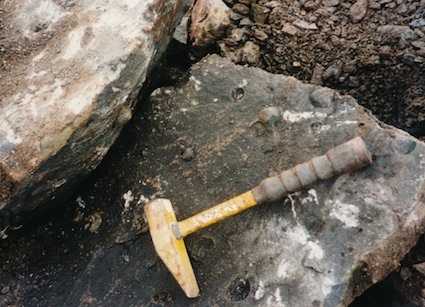 The chance finds at both Ardownie and Ethiebeaton quarries demonstrate the potential in Scotland for new discoveries of spectacular agates. 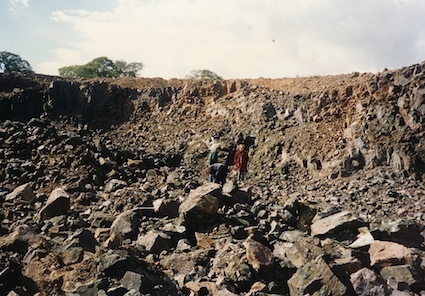 Any deposit of Old Red Sandstone age andesitic lava may contain agate finds and future work by the quarrying industry may reveal new sites. In March of 2016 I visited the quarry to see what the situation regarding access was...they no longer allow agate collectors into the quarry at all due to health and safety reasons!......I guess that it?